I am not a mathematician but I count that today is the 36th day of the Great and Holy lent. We have 12 days more including the days of the Holy Week. Through the prayers of St. Mary of Egypt I believe that we will finish successfully our spiritual journey and together with all Christians of the world we’ll joyfully celebrate the Great and Holy Pascha, on April 16th. Now we behold the richly adorned dwelling-place of our Savior and prepare ourselves to clean, buy a new one or find our festal raiment that we may enter in. So, perhaps we are tired but we have to continue our spiritual podvig asking the Light-Giver to illumine the raiment of our souls and save us. What can we do to deserve that? Indeed, we have the Great and Holy Lent every year and generally we know that it is difficult to truly experience the spiritual fruits of the Holy Week, but we want very much to prepare ourselves in the joy of Christ’s life-giving Resurrection. Think for a moment about how much time and effort is required to win a professional championship; players and coaches do not show up only in time to hoist the trophy. The arena of virtues, therefore, is a blessed opportunity for Orthodox faithful to inch closer, step by step, to the ultimate aim and destination in life: holiness and salvation in Christ - the only Redeemer and Savior of the world. We will make progress towards this purpose if we repent during Great and Holy Lent; if we change our behavior; if we pay no heed to evil thoughts but instead nourish virtuous ones; if we become humble and forgiving; we will make progress towards eternal life if we love one another – including our enemies – and help our fellow man. If we contest in the arena of virtues to acquire peace, patience, kindness and self-control (cf. Galatians 5:22-23), we will be transformed during Holy Week and experience the Resurrection as a life-altering event. If we contest in the arena of virtues, we will not revert back to our old self but begin our life anew, closer to Christ. This is our time. This is our moment … to put our principles into action. We will step into a new level of our destiny. We will discover talents we didn’t know we had, and we will see God’s blessing and favor in amazing ways. I recommend to keep an icon of the Resurrected Lord in front of you, even if it’s symbolic, to remind you of what are you striving for as Proverb says: “Where there is no vision, the people perish”. Without a vision we won’t see God’s best, God will surprise our vision. We are living to please God: to listen to what God's telling us. God will do something big in our life. We have to accept the fact that we are living to please God. We don't need the people's approval when we have God's approval. Everyone has a right to an opinion, and we have every right to not listen to it. If what others say doesn't match what God has put in our heart, let it go in one ear and out the other. If you try to keep every person happy, the one person that will not be happy is you. Your destiny is too great to get distracted. Fly with those who lift you up and thrust you forward. Look for encouragers in your life. Be kind, be compassionate, but run your own race. Remember, as long as you are doing what God has put in your heart, you don’t need to look to the left or to the right. Stay focused on your goals and God will get you where you’re supposed to be. Upgrade your expectations. Do not let negative expectations limit your life. Faith is what causes God to act. Goodness and mercy will follow you. Be careful what you allow to play in your thoughts all day. The study said that a person will remember losing fifty dollars more than he’ll remember gaining fifty dollars. Don’t forget what you should remember – your victories, your successes, and the hard times you overcame. Collect the positives in your past. The Holy Bible says: “David remembered that he had killed a lion and a bear with his own hands”. What was he doing? Rehearsing his victories? Remembering the good things will make you strong. What person are you? You have to believe it before you see it. This is what our Orthodox Faith is all about! Additionally, pay attention to what you are thinking about. When your mind is ﬁlled with thoughts of faith, hope and victory, you will draw in the good things of God. We live in a society in which mediocrity is the norm. But God doesn’t bless mediocrity. God blesses excellence. Honor God in all you do. The Lord Jesus said: “Do more than is expected; carry it two miles”. God rewards excellence. So, strive for excellence! In the Old Testament, Abraham sent his servant to a foreign country to ﬁnd the wife for his son lsaac. Abraham told the servant that he would know he’d found the right lady if she offered a drink to both - him and his camels. The servant reached the city around sunset. A beautiful young lady named Rebekah came out to the well. The servant said: “I am so thirsty! Would you mind lowering your bucket and getting me a drink?” She said: “Not only that, let me get some water for your camels as well”. Here’s what interesting: After a long days walk, a camel can drink thirty gallons of water. This servant had ten camels with him. Think about what Rebekah did. If she had a one gallon bucket of water she said in effect: “Yes, l’ll not only do what you asked and give you a drink, but l’ll also dip down in this well three hundred more times and give your ten camels a drink”. Rebekah went way beyond the call of duty. As a result, she was chosen to marry Isaac who came from the wealthiest family at that time. Take time to take care of yourself, too. God lives in you. Some women, in particular, take care of everyone else, putting their children first, being good wives, and running the house or doing their jobs. That’s good, but they need to take care of themselves, too. When you look good you feel better. Make a habit of excellence. People of excellence go the extra mile to do what’s right. They do that not because somebody is watching. They do it to honor God. Open your heart to your neighbor. If you believe that Christ dwells within you, then try to see Christ in your neighbor. Make your presence for the “other” encouraging and supportive. Restrain your ego for the sake of your neighbor. 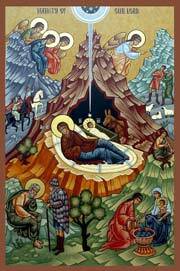 Help someone in a concrete manner during these last twelve days of the Great and Holy Lent. Set domestic goals about the manner in which you will continue to observe the fast. Test yourselves. Resist minimalism. You cannot break the fast these 12 days. The Lord Jesus set the example of fasting for 40 days. We imitate Him for the same period of 40 days. If it was hard for Him, it will be hard for us - but not as hard as it was for Him. Lord Jesus went to the Cross following His “Holy Week” in Jerusalem. We follow Him in our Holy Week observance and practices. Lord Jesus was raised from the dead following His crucifixion, death and burial. We seek the resurrection of our spiritual lives here and now as we await our own death at the appointed time and the resurrection of the dead at the end of time. So, my warm request to you is: to take the last 12 days of Lent seriously as a concrete sign of taking God seriously. Our surrounding culture is not serious about taking anything too seriously. When serious issues arise, however, people have a difficult time dealing with them. Yet, the Lord Jesus was very serious, especially, when it came to issues of life and death; God and salvation, and so forth. The last 12 days of the Great Lent will help us to focus on these very themes, thereby making it meaningful and important for our lives. So, if you need something, follow the instructions of the Lord: “ask, and it shall be given you; seek, and ye shall ﬁnd; knock, and it shall be opened unto you” (Matthew 7: Amen.7). Graciously hosted by Holy Transfiguration Church, in Syracuse NY, this year’s clergy Govenyie or retreat was centered around Repentance. From March 30th to April 1st His Eminence Metropolitan Joseph, His Grace Bishop Daniil and many of the clergy from our Diocese served and prayed together, fasted and prostrated in worship, discussed about and worked on drawing ever closer to God. Each day of the retreat started and ended with divine services and was filled with lectures and discussions, homilies and dialogue among brother clergy and with the hierarchs. In his opening address Metropolitan Joseph expressed the call to everyone to put more effort into making the Great Lent “great again” by fasting from entertainment but also from sin and to redirect our energy towards acquiring the spiritual fruits of repentance. The purpose of this retreat - everyone was reminded - is to bear witness to Christ in unity which is achieved when we are united in God’s likeness, a unity that can not be achieved in isolation. We strive for this unity by deepening our faith and our understanding of God and by communing with His mysteries. This is a journey which both the clergy and faithful must undertake for the sake of God’s Kingdom. We must advance and improve not only our theology but also our practice. We start anew, we start today, we keep the Lord and His promise in front of our eyes for He is with us “even unto the end of the ages” (Mt. 28: 20). The talks on repentance were spread out during two days and offered three complementary perspectives. The first one, lead by Fr. Jerome Sanderson gravitated around the words of the Gospel of Saint Mark which starts with the call to repentance by both saint John the Baptist and our Lord Jesus Christ. We repent by detaching from the love of this world and remembering that our priority is the kingdom of heaven. We do that incrementally, in small steps because of our weak nature but on our road to repentance it is important to eliminate all non-essential activities and to not grow impatient with ourselves by seeking immediate spectacular results. Silence is a form of repentance. A loaf of bread needs time to rise after it is kneaded - in like manner, making time for being silent in God’s presence is an indispensable part of repenting. Repentance presupposes believing the Gospel and acting on the words of truth as described by Saint Cyril of Jerusalem who says that repentance is comprised of “pious doctrines and righteous actions”. The second talk was developed from the comparison of various biblical verses that speak about repentance. Fr. Teodor Anastasoaie presented many texts about repentance from both the Old Testament and the New Testament. The Hebrew word nacham and the Greek word metanoia both mean repentance. Repentance is generally understood as deep grief and the commitment to long lasting change. Regret is often mistaken as repentance as it also involves grief and the desire to change but in the case of regret, the commitment to change is short lived. The Greek words for repentance and regret are different. In reality repentance and regret are known by their fruits, both in expression and in outcome, as illustrated by the repentance of Peter and the one of Judas. The patristic understanding and practice of repentance supported by texts from Saint John Chrysostom, Saint John of the Ladder, and Saint Symeon the New Theologian indicate the repentance is to be understood as the “change of one’s heart” rather than “a change of mind” . The third perspective on repentance in the talk of Fr. Patrick Tishel was based on the commentary of Psalm 118 by Saint Theophan the Recluse. The entire Psalm 118 is a “map” of repentance that shows three stages of repentance: preparation, transition, and growth. The verses of Psalm 118 are divided in octaves with each octave starting with a letter of the Hebrew alphabet. This psalm was meant to be memorized as an “alphabet of repentance” and written on the tablets of every heart. In the first stage attention and watchfulness are essential, as the soul discovers that she has cleaved dangerously close to the earth. In transition, which is the second stage, the soul experiences despondency but is able to progress if it is willing to follow God’s commandments and to keep the “prayer schedule”. The third stage is the moment when the soul experiences a diminution of the war from passions, the enlargement of heart (Psalm 118: 32) and when the soul “cleaves to heaven” - it is the stage in which the inward division between earthly desires and heavenly ones is overcome. The govenyie was also enriched by a number of other presentations including recovery from drug and alcohol addiction, Orthodox Pedagogy and about Striving for “Inreach” defined as the process of uniting those who think they are Orthodox Christians with the fullness of the Faith. Fr. 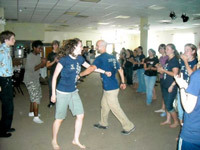 Michael Kon’s presentation on how to deal with situations of addictions of any kind (drugs and alcohol in particular) was based on his experience of working as a care provider in that field for many decades and delivered a startling diagnosis of brokenness of so many of the people around us. Yet Christ is their Savior also and the work of divine grace is most notable in the lives of many people who went through hard times and are now recovering. The call for an Orthodox Pedagogy which addresses the three powers of the soul: the will, the feeling and the thinking and how that is actually interwoven in the service of Divine Liturgy and also applicable in a classroom setting, presented by Dcn. James Hughes, resounded with all participants. At the initiative of Bishop Daniil the clergy agreed to work on developing a Orthodox educational project to be presented at the Diocesan Convention in the summer. Fr. Basil Rusen presentation brought to everyone’s attention a number of key elements that are important in the pastoral work within our parishes referring to the findings of a recent Pew Research survey. While many of the problems that our parishioners face nowadays require particular solutions tailored their needs and contexts, the need for solidarity, support and increased communication has become more obvious for all pastors. The homilies given at the divine services strengthened and inspired all the participants. Fr. Gregory Owen’s, who served as a firefighter for many years, analogically summarized the principles of fighting fires and spiritual/unseen warfare. The quintessential truth is that water puts out fire and that the tears of repentance extinguish the sins. As fire can be easier defeated if caught early the same rule applies in our spiritual response to the flames of passions. Fr. Milovan Derasimovic’s sermon pointed out the importance of repentance and almsgiving as a well pleasing sacrifice to God. Bishop Daniil mentioned in one of his homilies how the first person to ever achieve theosis or deification through complete union (body and soul) with God, was Mary, the Mother of God. He spoke also of the miracles that occur in Bulgaria where a miracle working icon of the Theotokos from a parish in Plovdiv is annually adorned with apples by women who through the intercessions of the Mother of God are able to conceive and give birth to children. Fr. Milan Radvulovic referred to the centrality of the divine services in missionary work and with the words of Saint Maximos the Confessor encouraged everyone to express human and simple pastoral warmth towards the faithful as a means to draw them closer to God. In his closing address Metropolitan Joseph thanked Fr. Philip and Fr. Peter, the priests of Holy Transfiguration Church and the hard working hosts who made this wonderful retreat a memorable event. He also commended everyone for all the good work and reminded all of us that we have two homes: a temporary one which is the earth and a permanent one which is heaven. Reaching our eternal home is not a simple matter. Nowadays the Church is not persecuted as it was during the Roman Empire or during communism yet the assaults still come against the Church in an attempt to generate arguments and disagreements, disunity and the change the truth of our Faith. Over 20 priests and deacons attended the service. 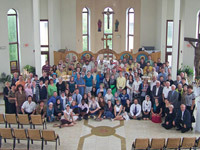 Around 300 Orthodox Christians gathered together for a time of prayer, worship and fellowship. Following the service, the parishioners of St. Clement hosted a social event. They provided tasty Lenten food and sweets to welcome Orthodox Christians from all over Metro Detroit. "The Cross is the preserver of the whole universe, the Cross is the beauty of the Church, the Cross is the might of kings, the Cross is the confirmation of the faithful, the Cross is the glory of angels and the scourge of demons"
Sunday March 19th, 2017, (The 3rd Sunday of Lent) commemorated the Veneration of the Cross. According to our Eastern Orthodox tradition there was a procession through the church which included the Altar boys and the Sunday School children. The Cross stands in the midst of the church in the middle of Lenten season to remind us of Christ's redemption and to help us keep in mind the goal of our efforts during the Lenten season. It is an opportunity for us to show great respect for Christ and the sacrifice that was made so we could be saved. Thank you to Marilynn Johnson for donating flowers, decorations and her time to decorate the cross. 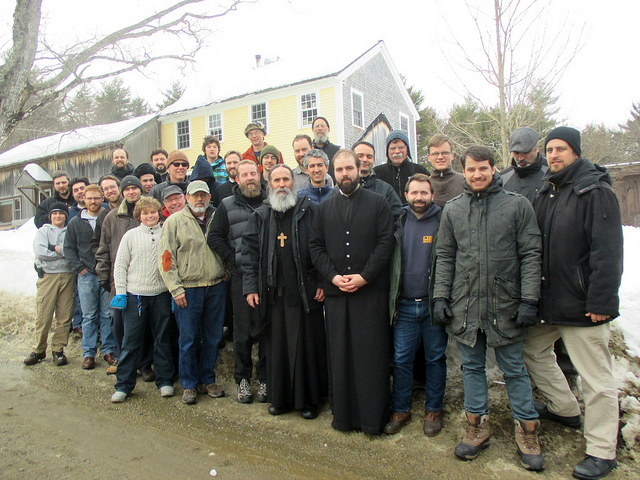 From April 14th-16th, 22 of the Diocesan clergy gathered with His Eminence, Metropolitan Joseph and His Grace, Bishop Daniil for our annual Lenten Govenie (retreat). In juxtaposition to the theme of our previous year (Our inside), this year’s topic was “Our outside”. This year’s Govenie actually unofficially started with the Great Canon of St. Andrew and the reading of the life of St. Mary of Egypt, for all those who could make it early. In that spirit of deep repentance we officially began the Govenie with prayer and then Metropolitan Joseph’s address in which he reminded us ‘that there can be no true fast, no genuine repentance, no reconciliation with Christ, unless we at the same time reconcile with one another.. by practicing in our daily lives love and forgiveness’. Other topics during our time together included such gems as: How can we practice the “foolishness” of preaching? ; How ought we to reach out to those who are not Orthodox? ; How does the priest fulfill his task as spiritual father to others? ; How can we overcome our temptation in serving our flock? ; and How do we minister to those who have lost babes through miscarriage?, as well as sermons given during Matins and Vespers services which we prayed together each day. 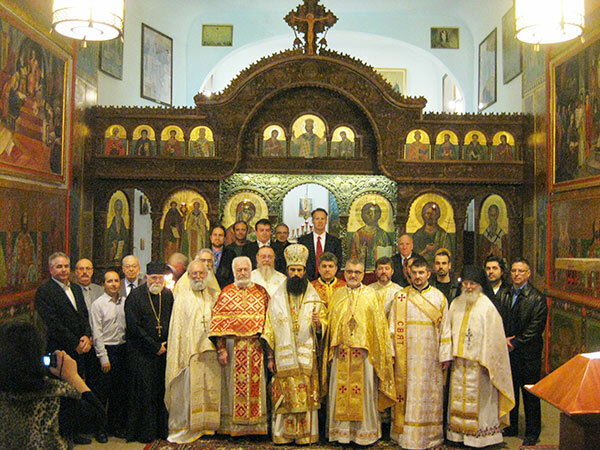 In addition His Grace, Bishop Daniil, presented the topics, and various discussions surrounding those topics, that are expected to be considered at the upcoming Great Council in Crete in June 2016. All of these topics were of great interest to those present and spurred much discussion. We concluded our time together by singing the Akathist on Friday evening, followed by confession, and the celebration of Divine Liturgy the next morning. All who were able to attend were uplifted in Spirit and inspired to redouble their efforts during the remaining portion of Lent, and to bring these blessing back into their parishes. God willing, we will gather again in 2017 during the 4th week of Lent at Holy Transfiguration in East Syracuse again. For all those who make the effort to attend, it is well worth the sacrifice. Holy Resurrection Orthodox Church in Allston, MA had a very full and grace-filled Nativity celebration. With the blessing of our diocesan Prelate, His Eminence Metropolitan Joseph, his Vicar – His Grace Bishop Daniil of Dragovitsa arrived for the Festal services. At the vigil service on the Eve of the Nativity of Christ, His Grace was greeted with the joyful ring of our church bells. Bishop Daniil was welcomed by our clergy and parishioners with the traditional bread and salt reserved for respected guests. The choir melodiously sang, “From the Rising of the Sun” where the exuberant voices of the youngest members could be heard above all. His Grace blessed the faithful as he ascended the stairs to begin the service of Great Compline followed by Matins for the feast. During the Canon of the Nativity, chanted by the choir the faithful venerated the beautifully adorned festal icon and were anointed by our Bishop. At the conclusion of Matins, His Grace offered the congregation inspiring and instructive words that our primary focus this night should be that Christ is born within us - every other care and concern is secondary. He reminded us of the contemplation of the Holy Fathers that at the time of the birth of our Lord, people, as now, had many earthly cares: the Emperor Augustus was occupied with taxing his subjects; Herod with eliminating any possible candidate for his throne; the guest-house owners of Bethlehem, were seeking how to take advantage of the census to get more profits. But none of these led them to the main purpose of life – to know the Lord. Only those who while doing their daily routine were mindful of the observation of the Lord’s commandments were vouchsafed to hear the good news of the birth of our Savior. His Grace said that we too must strive to apply the Lord’s commandments in our daily life in order for Christ to be born and live in us. On Thursday morning, January 7, we celebrated the Divine Liturgy of The Nativity of Our Lord, God, and Saviour Jesus Christ. The church was beautifully decorated with greenery and poinsettias and the icon of the feast was adorned for all to venerate. The church was full of parishioners, young and old, and many out of town guests. We were doubly blessed to witness the sacrament of ordination bestowed on Dcn. 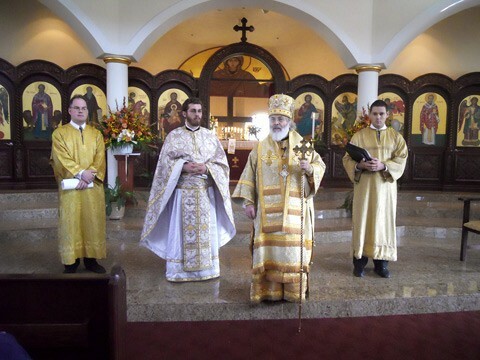 Teodor Anastasoaie to the Holy Priesthood and Subdeacon Michael Tishel to the Holy Deaconate during the Divine Liturgy. Dcn. Teodor was ordained prior to the consecration of the gifts. Before the ordination took place, His Grace addressed him, reminding him of the responsibilities that would attend the office of the priesthood. We were blessed that among the many visitors in attendance was the Director of the Byzantine Music Department at Holy Cross Greek Orthodox School of Theology. He, along with other clergy and members of the choir, beautifully chanted the troparions Holy Martyrs, Glory to Thee, Christ God and Rejoice O Isaiah as Dcn. Teodor was led around the altar table three times by our parish priests, Rev. Frs. Patrick Tishel and Michael Kon. The congregation joyfully responded "Axios" as Bishop Daniil placed the priestly robes and cross on Fr. Teodor. After the blessing: "And may the mercies of our great God and Savior Jesus Christ be with you all," Subdeacon Michael was led out of the altar by two other subdeacons. His Grace then addressed Subdcn. Michael, his family and the parish regarding his devotion to the Church and his life-long preparation leading to the sacrament of ordination. Dcn. Michael was led around the altar table while the previously sung troparions were jubilantly repeated. He was vested as a Deacon while the congregation exclaimed "Axios!" yet again. When the Holy Gifts were brought out for communion, Dcn. Michael carried them out for the first time proclaiming, “With the fear of God, with faith and love draw near”. The choir softly sang traditional Christmas carols throughout communion. At the end of the Holy Liturgy, His Grace read the inspiring Patriarchal and Synodal Nativity Encyclical to the faithful in attendance. He greeted the newly ordained clergy on behalf of His Eminence Metropolitan Joseph and on his behalf and gave to all of us the blessing of our Archpastor. The Great Feast of Our Lord's Nativity and the two ordinations drew numerous visitors from all over: family members from Romania traveled for the event; friends and fellow clergy from New York and Pennsylvania were present to celebrate in the altar. Past professors, co-workers and current students from Hellenic College Holy Cross packed the church as well. After the service we processed to the parish hall and celebrated together by singing the Troparian of the feast and breaking our 40 day fast together with a full and delicious festal meal. Fr. Michael Kon presented gifts from the parish to the newly ordained priest and deacon. A Bulgarian family of our parish performed a beautiful medley of classical music on the piano, violin, viola, and bassoon. Children and adult parishioners offered Bulgarian, Russian and Romanian Christmas carols and we concluded with a performance of Angelus ad Virgenum, a medieval carol which tells the story of the Angel Gabriel announcing to the Virigin Mary that she would give birth to a son. On Friday morning we celebrated the second day of the Feast of the Nativity, the Synaxis of the Most Holy Theotokos, presided by His Grace. 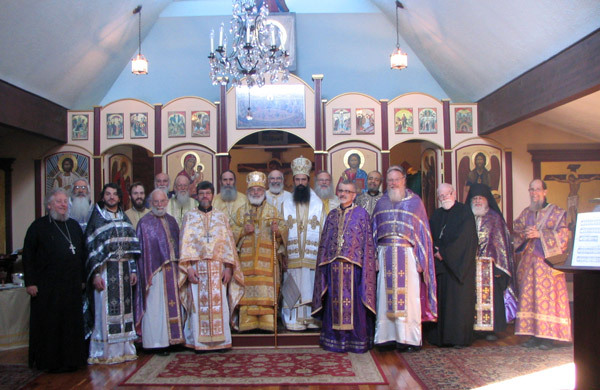 Our newly ordained clergy embarked on the traditional 40 days of serving Divine Liturgy. May God help them in their newly assigned service to our parish and our diocese! One of the cornerstone activities of the year for the men of our parish is our annual men’s retreat. This was the 14th year of this fine tradition. The theme of the retreat was: A Life Together: “That They May Be One” Why does it mean so much to the men of our parish to be together at the retreat? I know we all benefit from the educational talks and discussions. To have time to unpack and contemplate the journey that we are all on is so important. Each year we have thought provoking topics and excellent presentations. We had three main presentations. The first was The Mystery of the Unity of Christ and His Church; the second was on the unity amongst all believers and the third was on our relationship with those outside the Church. Everyone enjoyed the rustic setting which, God willing, will be the site of St. John the Baptist Monastery in the near future. After being in the city we are refreshed by the special silence of the woods and the mountains. The property is on the edge of 3000 acres of forest with Mt. Grace in the distance. We also really enjoyed the time together having opportunity to talk, to share, to laugh and to pray together. We prayed evening prayers, memorial services, morning prayers, akathist, vespers, matins and Liturgy, prepared and ate meals together with readings (this year from the writings of St. Paisius of Mt. Athos). This year we expanded the gathering to include more of our sons and young men. With our Metropolitan’s blessings and his encouraging words to us, Christ was evident in our midst; we were together-brothers in the unity in Christ. On Saturday, March 14th, Matushka Constantina Palmer spoke at our HROC Annual Women’s Retreat. About fifty women from Holy Resurrection, nearby parishes, and a few who flew from out of state, gathered for this wonderful opportunity for spiritual renewal and fellowship. Matushka Constantina, author of The Scent of Holiness: Lessons From a Women’s Monastery, shared stories, lessons from various saints and elders, and some of her own experiences to help inspire us during this Lenten season. 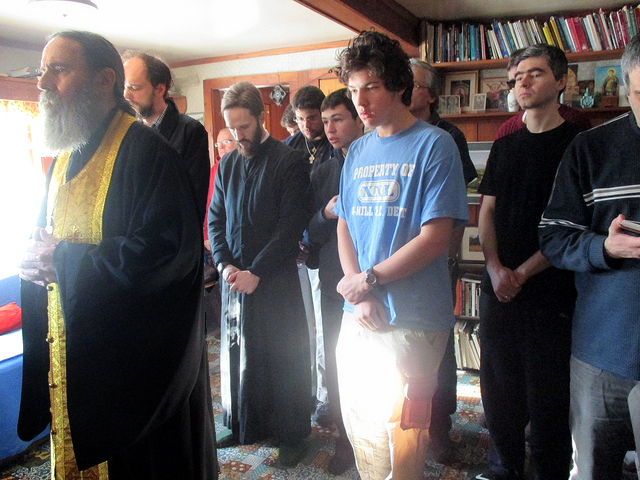 In the morning, we gathered in the sunlit church to pray an Akathist to the Most Holy Theotokos, the first among women. The beauty and simplicity of all-female voices rising in prayer to the Mother of God was a wonderful way to set the focus of the day. After partaking of a light and tasty breakfast, we gathered in the church hall to listen to Matushka Constantina’s first lecture on seeing with spiritual eyes. With sincerity and candidness, Matushka shared a variety of stories from her time at a monastery in Greece, as well as other stories and lessons by different elders, to demonstrate some of the various lessons learned in spiritual environments. She emphasized the importance of acquiring humility, being obedient in our spiritual practices, and avoiding judging others. One memorable quote she shared was by St. Porphyrios of Kapsokalyvia, “Someone can speak about their sins and be proud and someone else can speak about their virtues and be humble.” She also expressed the analogy that our prayer rules are like a medical prescription; they are uniquely given to each individual. If neglected, we will fail to become “well,” and may even become worse. If followed with obedience, however, with time they can help us to draw nearer to God and will help heal our spiritual illness. After a delicious lunch and fellowship, we gathered for our afternoon talk. Matushka spoke on the theme of “Acquiring Oil for Our Lamps.” Here, she spoke about two main topics: spiritual pilgrimage and good works. Truly, monasteries are a “university of the heavens,” and what grace we acquire there we can bring back to the world. She also stressed that it is important to maintain a relationship with monasteries because it helps us keep company with godly people. Matushka also said that the oil in our lamps is the good works we do through the help of God, thereby acquiring virtues. In the world, our main work is hospitality and almsgiving. Almsgiving is not just a financial act, but it is whenever we give of our time, our emotional support, and our care for someone in need. It can also mean taking care of our parish with joy and willingness to work hard. Needless to say, this talk left us very inspired. 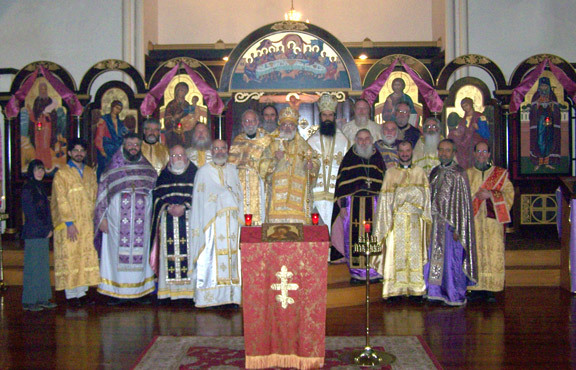 The Diocesan clergy gathered with His Eminence, Metropolitan Joseph and His Grace, Bishop Daniil in Indianapolis March 26-29, 2014 our annual Lenten Retreat (govenie). This year’s theme was “Our Inside: Fighting the Good Fight and Discovering Gifts of the Spirit”. His Eminence and His Grace both addressed the subject in specific talks, as did seven of the priests. Each day was filled with prayer and spiritual conversation, as our Hierarchs together with the other 35-40 attending priests and deacons listened to the presentations, asked questions, engaged in discussion and shared aspects of the priestly life and ministry “from the inside”. Topics of specific presentations included: How to develop spiritual gifts; How to fight spiritual warfare both in private and in public life; How to feel the need for confession and strengthen it in ourselves and in our flocks; How to properly stand before the Holy Table during the Divine Liturgy; How to develop a tender conscience and to prepare for the day of judgement; and How to both receive and administer spiritual healing. By the end of our time together, having celebrated the Divine Liturgy twice (the Pre-Sanctified on Friday and of St. John Chrysostom on Saturday), we were spiritually filled and charged to return to our various ministries with Christ in our hearts and on our lips. We agreed to accept the invitation to meet the fourth week of the Great Fast next year at Holy Transfiguration Orthodox Church in Syracuse, New York, and are already looking forward to that occasion with joy. 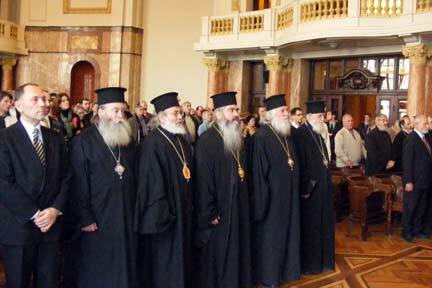 The Holy Synod chose three candidates for election to the Patriarchal throne. Delegates were sent from all the Diocese of the Bulgarian Patriarchate in Bulgaria but also Western Europe and the USA, Canada and Australia. V. Rev. Fr. Petar Totev, V. Rev. Fr. Gruio Tzonkov,Dr. Atanas Pumpalov and Dr. Michael Nikolov and I were the delegates from America. When I arrived in Bulgaria a week before the elections the news was that there were protests over the electrical prices and that the government resigned. Now Bulgaria was without a Patriarch and was without a government. It was a bit unsettling reminding me of the time my daughter landed in Ukraine in the midst of the “orange” revolution and when we heard that Athens and to some degree Thessaloniki was in the midst of anarchistic riots when my son was there. Before the election with the blessing of our own Metropolitan Joseph I traveled around Bulgaria. I experienced the loving hospitality of the monks and nuns of Metropolitan Nathaniel’s diocese. During the week Bishop Daniil set up 6 talks and one radio interview for me to give around the Diocese on Orthodoxy in America and Orthodox education. Bp. Daniil drove us over the mountains in the Pirin, Rodope, Rila mountain area in the snow and ice. For me it was an incredible blessing. The Bulgarian people have a special warmth. I met wonderful priests, monastics, Sunday school teachers, public school teachers and families who touched my heart. On Saturday, the day of the election we experienced a very orderly and open election. All documents checked, all votes given in secret ballot, counted openly and tallied. There were two rounds of voting. 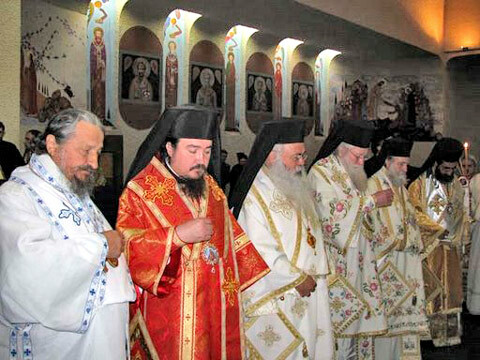 The three candidates were Metropolitan Galacteon, Metropolitan Neofit and Metropolitan Gavriil. The first round of votes required a 2/3 win which no one accomplished though the vote eliminated one candidate, Metropolitan Galacteon. The next vote required just a simple win of one vote. Metropolitan Neofit won this vote. As soon as this was accomplished, everyone processed over to the magnificent cathedral of St. Alexander Nevsky where delegates from around the world had been waiting during the 4 hour process. The newly elected Patriarch was received by the people on the street with applause and smiles, and in the Cathedral he was received with glorious singing. Representatives from all the major patriarchates were there; dignitaries from the government, his Excellency Simeon, the king of Bulgaria and others. The media men circulated and took videos and pictures of everything. The new patriarch was vested with the piercing declaration-Dostoin- followed by the magnificent reply of the angelic choir. He gave his Patriarchal blessings in all 4 directions of the compass. He gave a beautiful speech on the duties of the patriarch and his determination to fulfill them. The next day the first Divine Liturgy was celebrated with the new Patriarch. All of the Bishops were in the back area preparing for the Liturgy with the help of their subdeacons. The subdeacons and deacons were like military men, scurrying to get everything ready- mitres and whatever else needed to prepare and be on time. It was quite an impressive scene. In the altar there was a sea of mitred Metropolitans, Archbishops and Bishops with Archimandrites, Abbots, Archpriests, priests, deacons and subdeacons. The magnificent St. Alexander Nevsky Cathedral was full of people and an amazing choir. The Divine Liturgy began with the young Archimandrite proclaiming: Blessed is the Kingdom…. I was able to take pictures form within the altar up to the entry when all the Bishops entered and Patriarch Neofit was giving the blessing when during O Come Let us Worship and Fall Down before Christ…My battery unfortunately died--God’s providence and my negligence as new to photography. One very strong impression that stayed with me was the great blessing of the events of the day, being in the company of so many holy and faithful men and hearing the angelic voices of the choir. It reminded me of the emissaries of St. Vladimir who reported to him: We couldn’t tell whether we were in heaven or on earth. 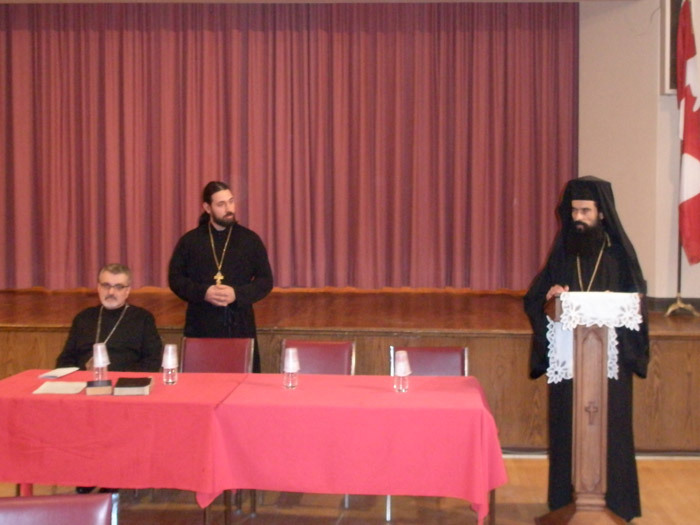 With the blessing of His Eminence, the Very Most Reverend Metropolitan Joseph, a Symposium on the Edict of Milan was held at Saint George's Macedono - Bulgarian Eastern Orthodox Church in Toronto, Canada. His Grace Bishop Daniil of Dragovitsa who gave an introduction on the Edict of Milan. Archpriest - Stavrofor Milan Radulović who spoke on the topic "The Edict of Milan and the Seven Ecumenical Councils with Special Impact of the Edict of Milan on the Fourth Ecumenical Council." Archpriest Georgi Despodov on "The Edict of Milan and the Holy Scripture." This event gathered together parishioners from all the churches in the Toronto area under the Bulgarian Eastern Orthodox Diocese. The participants had an opportunity to ask questions of all the speakers. 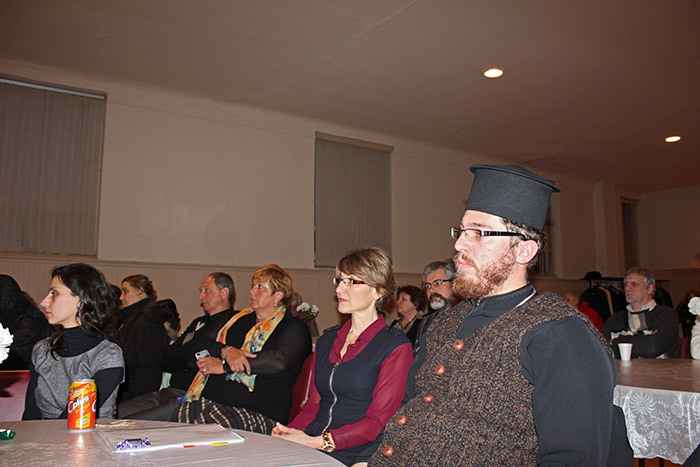 After the Symposium, Vespers was served at the church and was followed by a dinner in the church hall with a musical performance by accordion artist Mirjana Živković, who played and sang religious and Macedonian-Bulgarian folk songs. On Jan 13, 2013, with the help of God, the representatives of 23 parishes of our Diocese gathered in New York City at the Holy Metropolis. After three voting sessions, we elected our Diocesan representatives for the Patriarchal Election Church Convention on Feb 24, 2013 in Sofia, Bulgaria. We thank every parish and all the parish delegates for their commitment, sacrifice and labours. We also thank those parishes who had the sincere desire to participate, but were unable for one reason or another. Our concelebration of the Divine Liturgy and our work that day witnessed to our oneness in the Lord, which is the most important goal of our life that we can strive for. 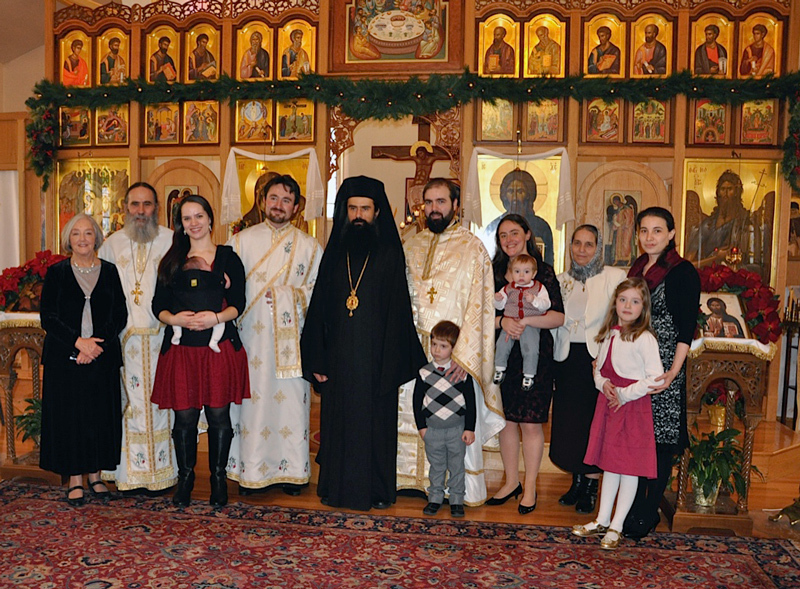 Our joy that day was even richer with the ordination at the Divine Liturgy of the Rev. Milovan Djerasimovich into the diaconate. The next day Fr. Milovan was ordained into the Holy Priesthood for the glory of God and has returned to Toronto, Ontario to begin his new priestly ministry. Axios! Worthy! Dostoin! May God strengthen and help him in his service! Again, thank you every one! The Very Rev. 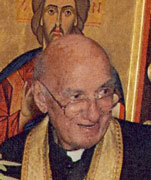 Panayot Pamukov retired rector of Saint Clement Ohridski Macedono-Bulgarian Orthodox in Dearborn, Michigan was called to eternal rest and blessed sleep in the Lord on Friday, January 18, 2013 at the age of 87. Father Pamukov was a priest in Bulgaria for 24 years before he came to serve the Saint Clement Ohridski Orthodox Parish on September 14, 1968. He continued to serve as rector of Saint Clement Ohridski until November 1, 1999. Once retired he continued to serve as retired priest until 2008. He is survived by a daughter, Dr. Kristina Pamukov (Raiko Takov) Takov, and son, Nickolai Pamukov. Loving grandfather of Nicole and Emily Pamukov and Veronica Takov. Popadia Syvlia Pamukov preceded him in death in 2007. Vech-na-ya Pomyat! Memory Eternal! 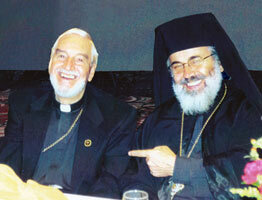 May Father Pamukove rest in peace! 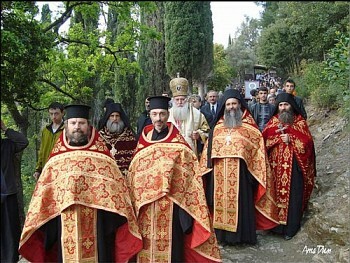 The traditional Diocesan clergy Govenie this year was held again in “St. Sophia” Bulgarian Eastern Orthodox Church in Des Plaines, IL, March 29-31. 1. The Liturgy is not for the clergy only, but rather the entire people of God (clergy and laity) who celebrate. 2. We must never separate the teaching, proclamation, and exhortation of the Scripture from the Liturgy. This Kerygma is part of the very fabric of the Liturgy. An analogy of this link, between the teaching and the sacrifice and eating, can be seen in the life of our Lord when He first taught the people and then offered Himself in His Body and Blood on behalf of all. 3, Our Diocesan people must be educated to understand what is happening in the Divine Liturgy and in this way to comprehend the proclamation in the Liturgy. 4. 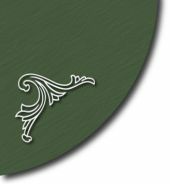 Because of the aforementioned factors regarding the Liturgy as proclamation, it is furthermore imperative that the people of God participate in this reality. Our intention is that all people, children and adults, men and women, learn the hymns of the Liturgy. 5. It is the clergy as shepherds who first call the people to themselves, i.e. to offer them the “bread of life”, and then send them out, being energized by this food, to do the work of the Church outside the limits of the parish. 6. Finally, we understood there needs to be a new thrust for our continuing pastoral education for all our clergy in the Diocese. It was good for us to hear that in the weekly act of worship of the Divine Liturgy, we are lifted up spiritually into communion with God, the angels, saints and our loved ones in heaven, and when the Liturgy is finished, we take heaven with us into the week. Through an active prayer of life that we are gently and lovingly encouraged to undertake at our own pace, we open ourselves to be transformed by the Holy Spirit, to undertake the process of theosis – to become like Christ our God. We also understood that the Orthodox Church is both a home and a journey, a place and a path, and the spiritual hospital that renews the light of God within our lives. Together we read the canon of St. Andrew of Crete and the laudation of the Mother of God, confessed our sins one to another, served the Divine Liturgy on Saturday and tried to become, as we prepared for the Holy Pascha, the champions in humility and love. Now, being at home, we are still glowing from the joy and multitudes of blessings received during this wonderful Govenie. All of us were truly nourished and inspired hearing and discussing the many presentations on the Divine Liturgy. Such a spiritual climate and atmosphere of mutual Christian Orthodox love made our repentance really possible. The wisdom, experience, knowledge and time we shared during this memorable Govenie was very valuable for all of us. It gave us the strength, inspiration, and confidence for doing the work in our Lord’s vineyard. All of us are full of a great sense of joy that our time together in prayer, instruction, reflection, confession, and finally in co-celebration of the Eucharistic Mystery, was in every way refreshing and brought us “to be accounted victors over sin, and uncondemned to attain unto and adore the Holy Resurrection of Christ”. Amen. of St. Maximos the Confessor Skete was elevated to the rank of Igumen. The Very Rev. Marko Kosev passed away. 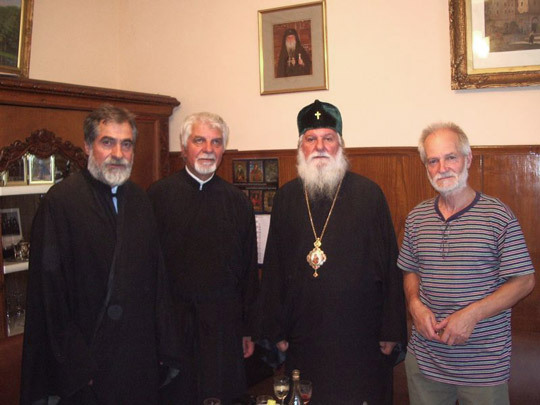 The Chancery of the Bulgarian Eastern Orthodox Diocese of the USA, Canada and Australia and Metropolitan Joseph, Diocesan Prelate, with saddness inform that on March 01, 2011, the Very Rev. Fr. Archpriest Marko Kosev reposed in the Lord. He was born on September 18, 1938. 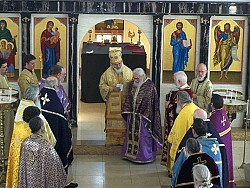 The funeral was at St. Spiridon's Orthodox Church in Seattle, WA, on March 06, 2011. The parish priest Fr. Yuri Maev, Fr. Archpriest Vadim Pogrebniak and Fr. Archpriest Ilia Balach served the funeral and burial which were very dignified and respectful for our departed worthy servant of God Fr. Marko. On behalf of His Holiness Bulgarian Patriarch Maxim, Holy Synod members, Metropolitan Joseph, all Diocesan clergy and faithful Fr. Protoierej Ilia expressed the warmest sympathy to Popadia Tatyana, son Theodor, daughter in Law Julia and grandchildren Sophia and Ilia Kosev. We all in the Diocese continue our prayers and ask God to be merciful to His servant Fr. Marko, to forgive his sins and to keep him on His right side. We also pray to God to give consolation to Popadia Tatyana, Theodor, Julia, Sophia and Ilia. We express our thankfulness to Popadia Tatyana for her service to God and His Holy Orthodox Church together with Fr. Marko in Bulgaria and the USA, especially in Steelton, PA. Bog da prosti otec Marko! Vechnaia Pamiat!" The Very Rev Fr. 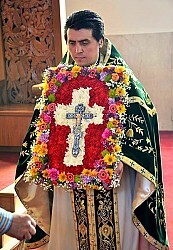 Archpriest Blagoy Topuzliev, the Cathedral priest in NYC, gave his soul to the Lord on August 20, 2010. He was 64 years old. An excellent priest, an erudite theologian, a caring pastor, preacher, and an inspired modest and approachable man, Father Blagoi Topuzliev will remain in the hearts and minds of all who are alive that were touched by his personality. God rest his soul! His body was transfered to Bulgaria for the funeral. Please, pray for him as a newly departed Archpiest Blagoy and for the comfort and piece of his Popadia Elisaveta. On Thursday, August 26, 2010, 10.00 AM, the newly departed Very Reverend Fr. Blagoy Topuzliev was buried in the city of Plovdiv, Bulgaria. The funeral/burial service was performed by his brother Metropolitan Dometian of Vidin together with Metropolitan Nikolay of Plovdiv in St. Nedelya Orthodox Church, where Fr. Blagoy was a parish priest for many years. Please, remember him in your prayers. Memory eternal. Vechnaia pamiat! Metropolitan Joseph, on behalf of the Holy Synod, Congratulates Patriarch Maxim on his names day. 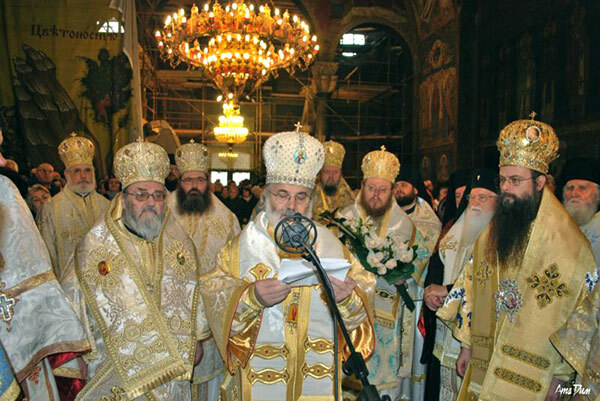 Article with photos on website of Bulgarian Patriarchate. Another article with more photos. 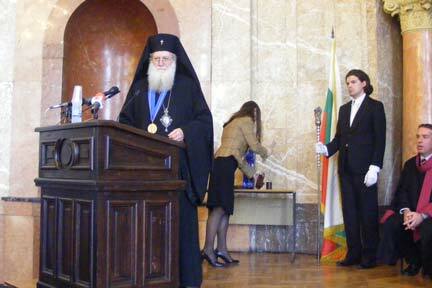 On October 29th, 2009 His Holiness the Bulgarian Patriarch MAXIM will celebrate his 95th Birth Day. On this occasion he will consecrate the new church in the Holy Patriarchate "St. Marina" (the civil name of His Holiness was Marin). We at Holy Dormition Orthodox Church greet and congratulate Your Holiness on your 95th birthday. We pray that your day will be full of Our Lord's blessing and joy along with the love of His most-pure Mother. We are so thankful for your fatherly love for us here in America and your constant and unceasing prayers for each one of us. It is with deep appreciation for your compassion and generosity towards us that we wish you every blessing on this special day. Thank you for all the wonderful epistles that you send to us, enlightening our hearts and minds with the true Gospel of Our Lord Jesus Christ. Thank you also for receiving us so warmly when we have come to visit you in Bulgaria and allowing us to serve with Your Holiness -- a great blessing for us clergy. And we thank you also for giving us your spiritual son, His Eminence Metropolitan Joseph, to lead us here in America. He is a wonderful example of our Bulgarian Hierarchs and beloved by many everywhere. Your Holiness, may Our Lord and God and Saviour Jesus Christ grant you Many Years! We ask for Your Holiness' continued support, prayers and blessing for the missionary work of our Diocese of the USA, Canada and Australia. Through Your Holiness' prayers, may many Americans, Canadians and Australians be brought to the True Light of our Holy Orthodox Church. The faithful of Saint Herman of Alaska Mission send you our warmest greetings in the Lord on the occassion of the 95th anniversary of your birth! We wish for you to know that you are in our prayers constantly and without fail, both in our daily celebrations of Divne Services (weekly Akathists, Liturgies, Vespers, and daily Morning Prayers). We remember fondly your last visit to the US, and we treasure the memories of our having the honor to receive a blessing directly from your hands! Now we hold tightly to that first blessing as we continue to seek our Lord's will through your continued blessings to us and your prayers for us in America. Since your visit to America, many of us have aged much, but when I see your photograph, you look as you did then, on that day you visited the faithful of Sveti Duch in Cincinnati! How is this possible? May our Lord grant to you Many Years, and through His gift of years to you thereby bless us, thereby keeping you as our Patriarch, under your pastoral protection and care. You are the only Patriarch that many of us have ever known, and we pray that your health, your strength, your wisdom, and your prayers will continue to guide us and strengthen us for many more years! I also wish to send to you my personal thanks for your prayers for the little child of God, Marina. Metropolitan Joseph told me of your love for her after hearing her name. She fell asleep in the Lord only days after her birth, but I know that it was because of your holy prayers that she did not leave this world before she received baptism, Chrismation, and before she tasted on her own the Body and Blood of our Lord. Now we know with certainty that she rests in His arms, free from any harm this world could do her. I cannot thank you enough for remembering this loved one of our Lord! It is a great comfort and joy to know that on the day of your birth you will consecrate a church to her Patron Saint, Saint Marina! With your blessing, I will share this joyous news with her parents. Храм „Св. Димитър” Българска Източно Православна Църква в град Брамптън, Онтарио, Канада, отпразнува петия си рожден ден, на 26. 10. 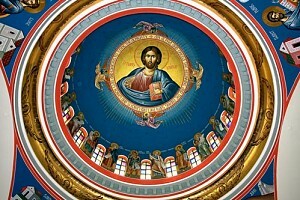 2009 г., която дата съвпада и с храмовия й празник по случай честването паметта на светеца, чието име носи. Богослужението бе оглавено от Негово Високопреосвещенство Йосиф, митрополит на САЩ, Канада и Австралия, който предприе тридневно богослужебно гостуване в съслужение с всички български свещеници от съседните енории на македоно-българските църкви в Торонто. Негово Високопреосвещенство бе топло приет от новия благоговеен свещ. Йоан Иванов в компанията на българската младежка секция при храма, която само за десетмесечна работа наброява над четиридесет православни младежа, обединени под логото на храма и инициира първата отворена младежка среща на нашите младежи с него. Храм „Св. Димитър” е една идея на българското общество в Канада, осъществена в не толкова далечната 2003 г. от големия български бизнесмен и родолюбец, носител на орден „Стара планина” и почетен български консул в Торонто, д-р. х. к. Игнат Канев, което я прави една от най-младите Православни църкви в Северна Америка. Църквата предлага модерно оборудвана база за задграничното българско училище по министерската програма „Български език и култура”, в което се помещават и учат около седемдесет наши деца. Понастоящем управлявана под духовния покров на Негово Високопреосвещенство Митрополит Йосиф и зоркия поглед на Негово Благоговейнство свещеник Йоан Иванов, храмът има десетчленно настоятелство и председател в лицето на Г-жа Диди Канева, и се явява духовен и национален стожер на много българи зад граница. Дори бегъл поглед над духовните и социални дейности при храма ни очарова със задружността на Женската си секция, която ежемесечно събира енориашите при храма на обеди или вечери с традиционна българска кухня; с младежката инициатива за безплатни прожекции на български филми, с катехизисните си курсове под предводителството на енорийския свещеник, с историческия дискусионен клуб, а не на последно място и с много спортни мероприятия за укрепване на българския дух, душевност и физика. Важно е да не пропуснем да отбележим, че на тази паметна дата бе официално въдворен от Нюйоркския Митрополит в енорийско служение едногодишно служещият вече там свещ. Йоан Иванов, бивш духовник на храм „Св. Димитър”Кокаляне, Софийска Епархия, а така също бе подстриган и благословен за четец и певец при храма, православният местен Канадски жител Joseph Forget. На същото богослужение, за особени заслуги по изграждането и консолидирането на българската общност при храма бяха наградени с патриаршеска грамота и грамота от храма, достопочтимите Д-р. и Г-жа Константин и Кина Вълчеви, църковни членове от основаването му. Нека всички последваме светлия им православен пример на всеотдайно служение зад граница. returned back to NYC to prepare himself for our 34th Annual Diocesan Convention. - Holy Synod decided to celebrate 95th anniversary of His Holiness Patriarch Maxim in October this year and to consecrate on this occasion his chapel "St. Marina" in his home. 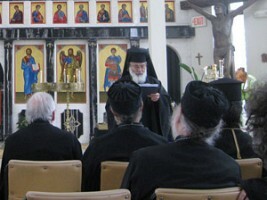 - Holy Synod continues its Session until July 10, 2009." On Pentecost Sunday, the fourth pan-Orthodox pre-assembly discussion and meeting began with a pan-Orthodox Archpastoral Liturgy. 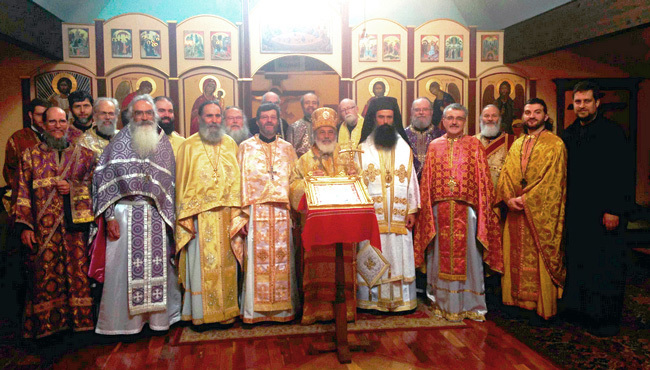 The co-celebrants of the Liturgy were the leaders of the delegations from the Churches in Alexandria, Antioch, Jerusalem, Serbia, Bulgaria, Georgia, Cyprus, Greece, Poland and Albania. Bulgaria was represented in the service by Metropolitan Neofit. 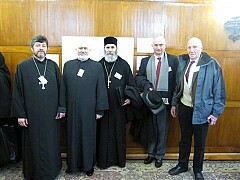 Metropolitan Neofit is 4th from the left in the picture. Metropolitan Joseph's friend and spiritual brother Metropolitan Neofit celebrates St. George's day on April 23 / May 6th at Zograph Monastery, the Bulgarian Monastery on Mt. Athos, its patronal feast day. 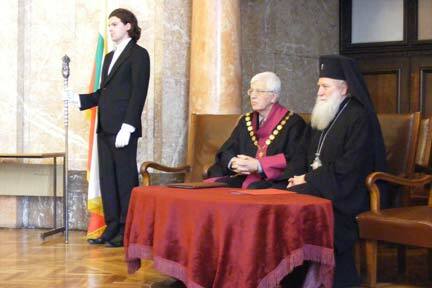 His Eminence Metropolitan Joseph attends the elevation of his spiritual brother, Metropolitan Neofit, to Doctor Honoris Causi at Sofia University, Bulgaria. Our Diocese expresses, together with Metropolitan Joseph, its joy and congratulations to our beloved Metropolitan Neofit. May God grant him Many Years!